The Environment Department, La Société Guernesiaise and Guernsey’s RSPB group have launched ‘Give Wildlife A Chance’ a code of conduct created to raise awareness of the internationally important seabirds and marine mammals that live and breed in and around Guernsey. The Code encourages people to observe guidelines to prevent the unnecessary disturbance of birds and seals around their breeding and feeding sites. 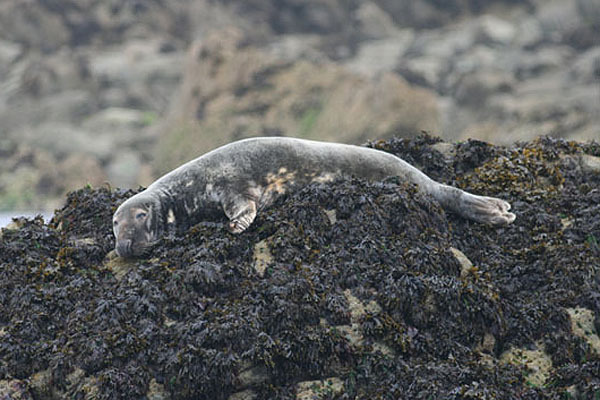 Kayakers and boat owners are being asked to take special care to keep their distance from the seal breeding and haul out areas around the Humps and Les Hanois. Temporary signage will be placed around the most sensitive seabird breeding sites in Guernsey including Jerbourg, the south coast cliffs and Pleinmont. The signs will be in place for the duration of the breeding season which runs from 1st February to 31st July. 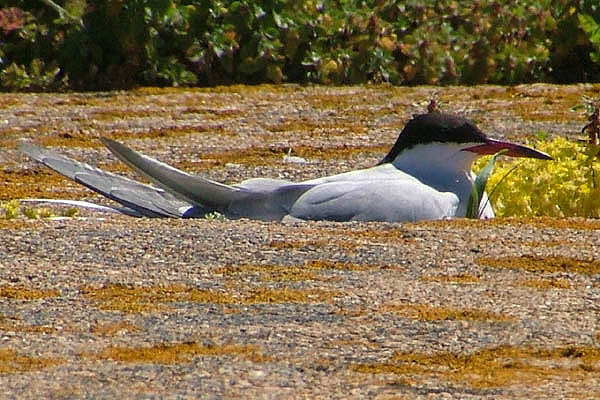 The most vulnerable species of seabirds breeding in Guernsey and the surrounding Islands include terns, puffins, guillemots, razorbills, shags, cormorants and oystercatchers. It is also very important not to disturb gulls from their traditional breeding sites on the south coast cliffs and islets as they then may move into St Peter Port and other urban areas and start to nest on roofs, which would bring increasing conflict with people, something we would all wish to avoid! Many of these species have been seriously affected by the high winds and heavy seas during the extended period of storms earlier in the year. A mass seabird wreck (high mortality of seabirds) was experienced in the subsequent weeks, with over 30,000 dead seabirds being recorded washed up in UK, France and Channel Islands (see our report here). The worst affected were auks (puffins, guillemots and razorbills) with over 15,000 puffins recorded as dead. Whilst there were few post mortems a large number were recorded as in very poor condition and considered to have died from a combination of exhaustion and starvation as they were unable to feed. Previously the most comparable mass seabird mortalities in our region were the Torrey Canyon oil spill disaster in 1967 and Amoco Cadiz disaster in with 15,000-20,000 reported dead during each incident – possibly half the number recently recorded as washed up on beaches following the severe storms. It is hoped that with the introduction of the ‘Give Wildlife A Chance’ code of conduct as many people as possible will be aware of the special significance of the Guernsey sites, and in particularly the need for breeding seabirds and seals to be left undisturbed. It’s likely that this will be a very difficult breeding season for many seabirds as many birds remain in relatively poor condition. However, if they are able to recover with as little disturbance from human activities as possible it may be possible to regain the numbers of birds lost although ornithologists acknowledge that this may take many years. Environment Minister, Roger Domaille said “The Environment Board fully supports the introduction of ‘Give Wildlife A Chance’ – our seabirds are the most iconic wildlife Guernsey has and many people are unaware that the Bailiwick is a breeding outpost for some very vulnerable species such as puffins which are reduced to a handful of breeding pairs now. 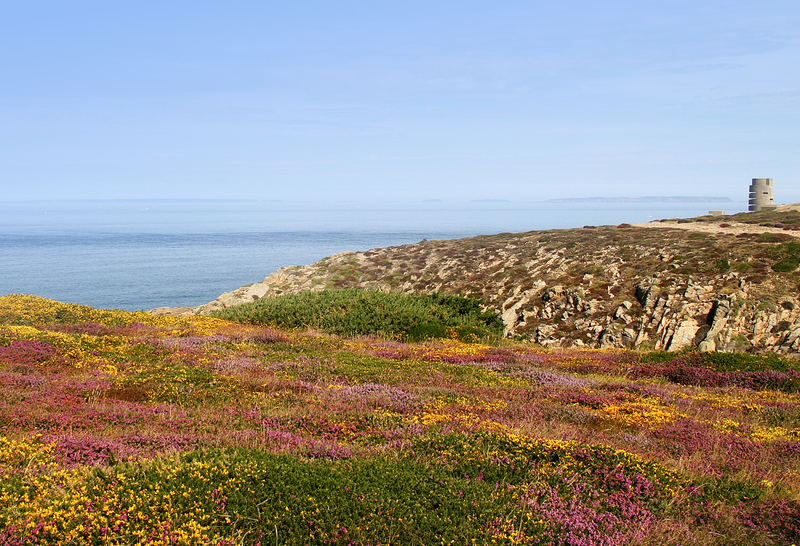 I’m delighted to see the launch of this code of conduct to help reduce disturbance to wildlife and as such it addresses one of the action plans identified in the proposed Biodiversity Strategy for Guernsey”. This is the first of a range of initiatives to be implemented in order to help enhance and conserve Guernsey’s wildlife and natural landscape.